Error messages can be sent by either client or server in cases where a problem is detected in the communication. They have the format indicated in Table 238 and Figure 299. 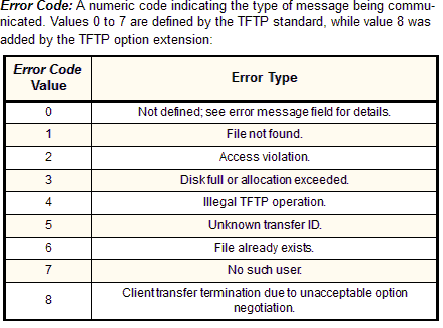 Operation Code: Specifies the TFTP message type. A value of 5 indicates an Error message.